Lars Ulrik Mortensen (born 1955) studied at The Royal Academy of Music in Copenhagen (harpsichord with Karen Englund, figured bass with Jesper Bøje Christensen) and with Trevor Pinnock in London. From 1988 to 1990 he was harpsichordist with London Baroque and until 1993 with Collegium Musicum 90 (leader: Simon Standage). He now works extensively as a soloist and chamber-musician in Europe, the United States, Mexico, South America, Japan and Australia, performing regularly with distinguished colleagues such as Emma Kirkby, John Holloway and Jaap ter Linden. Between 1996 and 1999 Lars Ulrik Mortensen was professor for harpsichord and performance practice at the Hochschule für Musik in Munich, and he now teaches at numerous Early Music-courses throughout the world. Until recently, Lars Ulrik Mortensen was also active as a conductor for "modern" orchestras in Sweden and Denmark, where especially his activities at the Royal Theatre in Copenhagen - a.o. Kunzen's Holger Danske in 2000 and Mozart's Marriage of Figaro in 2003 - met with great critical acclaim. Since 2003, however, he has decided to work exclusively with period instrument ensembles. 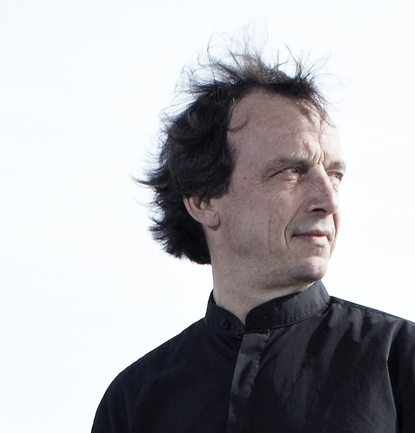 Since 1999, he has been artistic director of the Danish Baroque orchestra Concerto Copenhagen, and in 2004 he succeeded Roy Goodman as musical director of the European Union Baroque Orchestra (EUBO). For the period 2008-09, his busy schedule with Concerto Copenhagen will include performances of Handel's Partenope at the Royal Theatre in Copenhagen and at the Royal Albert Hall in London, as well as tours in Holland, Spain, Austria, Japan and the United States. Lars Ulrik Mortensen has recorded extensively for numerous labels including DGG-Archive, EMI and Kontrapunkt, and his recording of Bach's Goldberg Variations was awarded the French Diapason d'Or. A series of Buxtehude-recordings from the 1990s for the Danish Dacapo-label has met with universal critical acclaim. The first complete recording of Buxtehude's chamber music with John Holloway and Jaap ter Linden received the Danish Grammy-award for best classical recording of the year, another Grammy was awarded a CD with Buxtehude's cantatas with Emma Kirkby, and Lars Ulrik Mortensen became Danish Musician of the Year 2000 for his three CD's with harpsichord music by Buxtehude. These recordings also received the Cannes Classical Award 2001. Furthermore, a series of recordings with John Holloway, Aloysia Assenbaum and Jaap ter Linden of violin-sonatas by Schmelzer, Biber, Veracini and Leclair were released on the prestigious ECM-label. Directing Concerto Copenhagen, Mortensen has recorded the complete harpsichord concertos by J.S.Bach for CPO, which has received lavish praise in the international press, and 2004 also saw the release of recordings of Haydn piano concertos (with soloist Ronald Brautigam) on BIS as well as symphonies by the Danish composers J.E.Hartmann, Kunzen and Gerson on CPO. Lars Ulrik Mortensen has received a number of prizes and distinctions, among them the Danish Music Critics' Award in 1984 and Denmark's most prestigious music award The Léonie Sonning Music Prize in 2007. In 2008 he was made a member of the Royal Swedish Academy of Music.